Self-hosting is when you download some software, install it on your own server, and access it from the URL and the server that you own. Desktop app is installed on a computer and only the person using the computer can access it. Same with mobile apps. You don't need an internet connection to use a desktop app. Examples: Photoshop, MS Office. Web apps can be accessed by anyone through an internet browser, without having to install anything. All you need are URL and login info. Although you don't need to install anything, some computer (in this case, a server) still has to run the app, manage data, and serve it to you. Web apps don't work without an internet connection. Hybrid apps work the same as web apps, except you can also use them as a desktop and/or mobile app (if the company developed them). Hybrid apps can display the same information across devices because some server manages all the data. Most hybrid apps don't work without an internet connection or they have an offline mode that limits what you can do. Most apps you use today are hybrid apps. Examples: Gmail, Facebook, ActiveCollab. ActiveCollab is primarily a web-app but you can also use it as a desktop app and a mobile app. But, because ActiveCollab is primarily a web-app, it needs a server to run it. When you use cloud, ActiveCollab is run from our servers and we take care of maintenance and hosting fees. 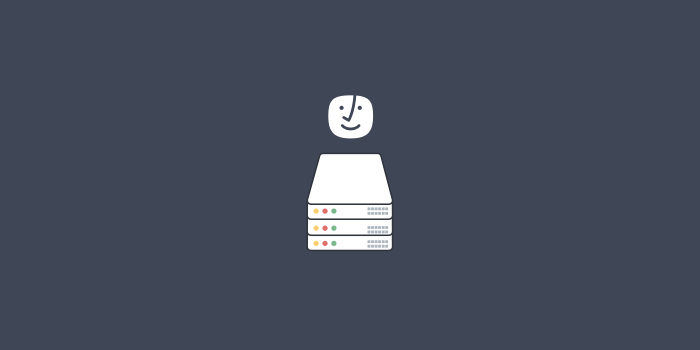 When you choose to self-host ActiveCollab, you pay a one-time license fee and get ActiveCollab source code that you then install on your own server and take care of maintenance and hosting fees. Once you pay a one-time license fee, you get a link to download ActiveCollab's source code. Then, you take that code and upload it to a server that you own (usually, people rent a server from an internet service provider). When ActiveCollab is uploaded to a server, you go through a quick installation process which checks if the server fulfills all the requirements and install ActiveCollab. Once installed, you can start inviting people and using ActiveCollab as usual. To access ActiveCollab, you'll need domain name and URL; if you want, you can make ActiveCollab accessible only from your local network, in which case you don't need ISP and domain name, only a computer that will act as the server. A server that fulfills standard system requirements, or more depending on how much people use ActiveCollab and how many files you have. The more people use it, the more powerful server has to be. Domain name and ISP. You can also choose to use it on the local network only, but that's rarer. Someone who will take care of installation and maintenance, which you can do yourself if you have some basic system admin knowledge. When there are updates, you have to install them manually (or auto-updates makes it easy so you only need to press one button). Number of team members and storage is virtually unlimited, as long as your server(s) can handle it. Self-hosted version has the same features as the cloud version (although cloud users get a bit faster than the self-hosted ones). Some features may require additional configuration or external dependencies to work correctly (email, search etc), or may be limited in scope (file previews). Can't decide between cloud and self-hosted? Here's a detailed self-hosting vs cloud breakdown here. Most non-IT companies choose the cloud because they don't want to think about servers and maintenance. They just want to use ActiveCollab without all the overhead. Also, if you're new to ActiveCollab, you might be reluctant to make a big investment and buy the license. Cloud is then perfect because you pay as you go. If at any time you decide ActiveCollab isn't the right fit, you can cancel. Can you react to system failure in minutes? Can you spot a system break? Can you remove exploits from your system? Can you recompile the kernel if you can’t remove exploits? Can you configure the system for optimal performance? Are you willing to pay for UPS, backup storage, and a backup internet provider? A self-hosted license costs just $999, which isn't that much if you consider how much money it takes to develop an app like ActiveCollab (or the fact that most companies that develop project management tool don't offer self-hosting option). The more team members you have, the more value you'll get out of your self-hosted license. For example, a company with a team of more than 60 people would pay once for a $999 for self-hosted and use it indefinitely; whereas, if it used cloud, it would have to pay $299 every month. If you already have any of those, self-hosting will cost you less than using the cloud. If, on the other hand, you don't have the infrastructure already in place, cloud will cost you less. Once you decide self-hosted is the right option, you can head to our store, enter your details, and buy the license. Then, the option to download ActiveCollab will become available at activecollab.com/profile. As a special treat, we also let you download previous versions of ActiveCollab (2, 3, and 4). To install ActiveCollab, consult our installation guide from our help for. If you want us to install ActiveCollab for you, be sure to check the "Have Support Team Install ActiveCollab for Me" option in our store before you buy ActiveCollab. To get started with ActiveCollab, check out our quick video tutorials. Advanced users should download project management guides and subscribe to our newsletter. If you have any question, you can always contact our support at support@activecollab.com. What's the difference between cloud and self-hosting? Cloud and self-hosted versions have the same features. Because they run in different environments, some features may require more configuration to work or may be limited in their scope. File previews in self-hosted version work with fewer file types due to technical limitations or complexities of available components that produce the previews. These differences are more of an exception than the rule. A vast majority of features work exactly the same in both versions of ActiveCollab. The main differences are still the pricing and who takes care of maintenance: you or us. You get ActiveCollab source code that you install on your server. You also get a 1 year of support and upgrades for free. You can optionally renew the license to keep receiving updates and support. Can I try ActiveCollab for free? Yes! You can create a free ActiveCollab account on our cloud and then decide if you want to purchase the self-hosted version (they have the same features). Don't worry, we offer a 30-day money back guarantee for self-hosted licenses. What does a new license cost? ActiveCollab self-hosted license costs $999. It's a one-time fee. How much is it to renew my ActiveCollab license? It costs $699 per year to extend the license after the initial year. On how many computers can I install ActiveCollab? You can install ActiveCollab on one server, plus one more for backup purposes. How long can I use the self-hosted ActiveCollab? Forever! Once you've paid, you can use ActiveCollab until the end of time. For more information, check out our pricing page.